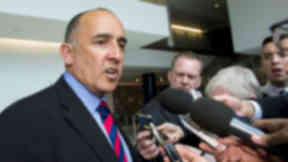 The Edinburgh club have notified the league they won't be meeting June payments on time. The Scottish Premier League have imposed a registration embargo on Hearts after the club failed to pay players' wages on time. The club will be prohibited from registering new players with the league until they have brought all payments up to date. 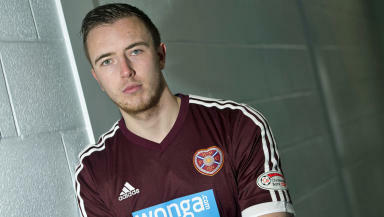 The embargo casts into doubt the signing of Danny Wilson, who has agreed a pre-contract to join the club from Liverpool on July 1. 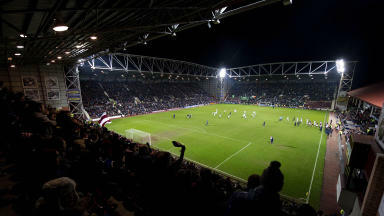 A statement from the SPL read: "The Scottish Premier League has been informed by Heart of Midlothian FC that the club has failed to pay a number of its players on time today. "This is a Remuneration Default in terms of the SPL Rules and the club is therefore subject to an automatic transfer embargo while that Remuneration Default continues. "The actions also indicate a potential breach of SPL rule A6.21 and a disciplinary hearing will be convened in due course." Rule A6.21 reads: "Except in circumstances where there is a bona fide dispute as to liability for payment by the club, where the club is entitled to deduct or otherwise withhold payment of a sum otherwise due or where the club takes, suffers or is subject to an Insolvency Event, any club which shall fail to pay any sum due by it to a player under and in terms of that player’s contract of service and/or any sum due by it under a contract of employment to any club official engaged in football management and/or football coaching (a “Remuneration Default”) shall be in breach of these rules."